FEATURES/SPECS Sometimes you have to let someone know that you consider them one of the best- Worldwide! 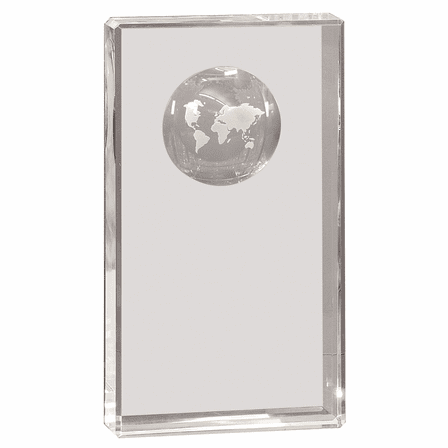 And, this is just the piece that will convey that message to your awardee! 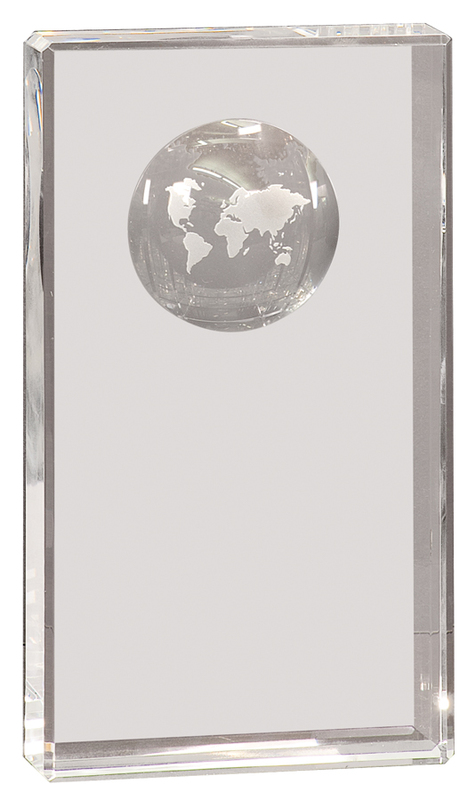 It's a clear crystal rectangular plaque, with a small beveled edge that gives faceted depth and sparkle to the crystal. 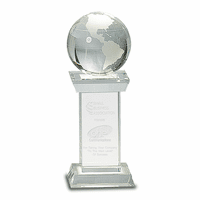 A clear etched crystal world globe is inlaid into the plaque in dramatic 3-D, creating a stunning visual desk award. It's available in three sizes- 5', 6' & 7'- so you can choose the size that is best for your text and logo. 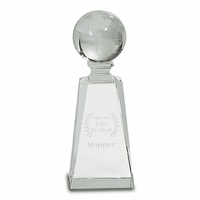 Or, you can get one of each size and award a 1st, 2nd & 3rd Place trophy to your winners! 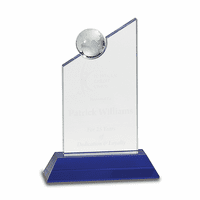 This award comes in a lined presentation case, which is packaged in an attractive gift box, so you have presentation options for your awards ceremony. 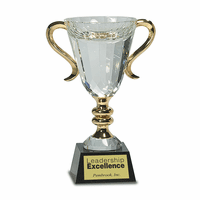 You will be sure to make it clear that you feel your employee, boss, volunteer, student, teacher, or winner is the Best in the World with this award! We feel that you're the best in the world, and we gladly offer you our Satisfaction & Performance Guarantee! We ordered a few of these as thank you gifts for departing board members. The pieces themselves are great. They have a nice weight and good detailing. The Executive Gift Shoppe team also worked with us to make sure our art displayed properly and ensured we got the pieces in a timely manner. Overall a great product and company.